Natural calcium supplement with a rich amount of calcium and minerals may help improve bone health and overall bone density. If you are looking for a natural and vegan supplement, one of the best calcium supplement to support bone health? Then, Herbal Hills is just the right place, owing to its unique concepts of production and natural supplements. Herbal Hills is a leading and renowned brand in manufacturing the natural dietary supplement for daily use and healthier lifestyle. Moreover, it is a unique brand as it has its own land in the range of Sahyadri mountains. This land allows Herbal Hills to provide the pristine and pollution free environment. However, along with following the traditional cultivation methods, it prefers a highly-advanced processing unit and technologies to offer premium quality of the product. However, by passing through the high-tech techniques, these herbal supplements such as Calcihills maintains the international quality standards. Additionally, Herbal Hills has desired certifications and license for added safety and validity. 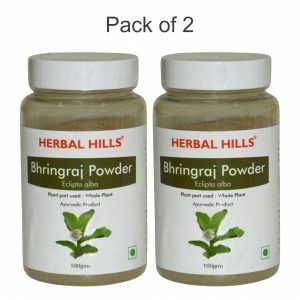 Calcihills is an Ayurvedic formulation of Khatika, Godanti bhasma, Shankh bhasma, Mukta sukti bhasma, Kapardika bhasma, Hadjod extract, Ashwagandha extract etc. to promote bone health naturally. Additionally, this natural calcium supplement is a rich source of iron, acetic acid, alanine. Alkaloids, amino acids, calcium, sterols, vitamin E etc. Moreover, these calcium capsules offer adaptogenic, antianxiety, antidepressant, antistress, nervine etc. properties to maintain a healthy lifestyle. Calcium not only help maintain bone strength but it also helps the body to use the calcium in every activity which bone does. If you are suffering from a calcium deficiency, then this calcihills (natural calcium supplement) is just a right dietary supplement. This is one of the best calcium supplement that may help improve the bone health and overall bone density. It also may help to enhance the joint health and mobility. The Dosage: Twice Daily after meals.